To say that this fall has been something unexpected would be an understatement. Between dealing with the aftermath of our house flood, moving out, living in a hotel for a bit, repairing and refinishing the floors, and then 10 days straight of torrential rains, you could say I’m more than ready for life to return to normal! The big shining ball in the sky returned this weekend, blinding us with its gloriousness! It’s amazing how a sunny day brightens our moods. 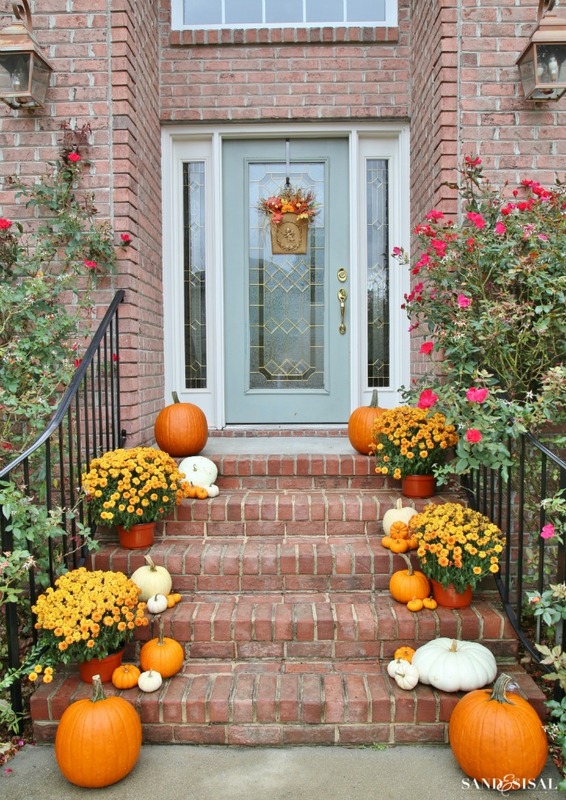 So we all happily headed to the pumpkin patch to gather pumpkins and began decorating our front porch for fall. 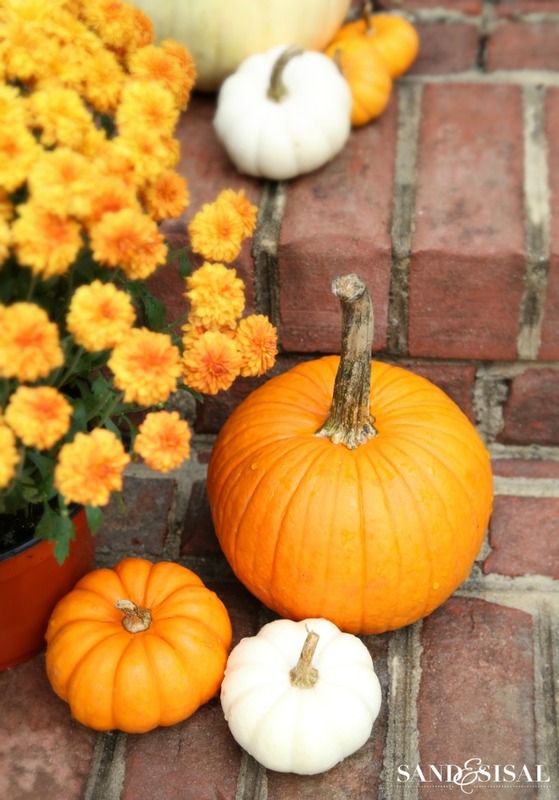 This year I decided to go with the traditional orange color scheme except added in pops of white pumpkins too. 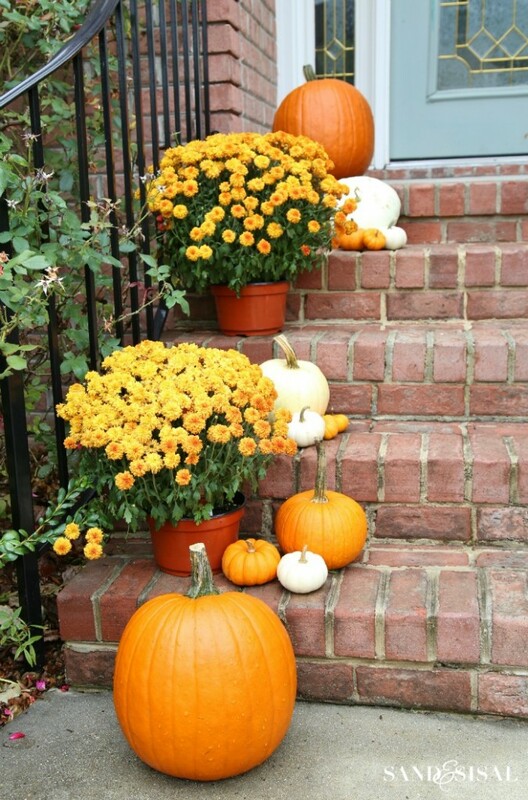 Rusty orange mums stagger the steps and adorable baby boos are scattered throughout. All of my craft containers are still stored in a Pod storage unit in our drivewasy (along with the rest of the first floor furniture), so I couldn’t make a wreath like I hoped. In lieu of a new wreath this year I pulled this Southern Living mail pouch off my wall an stuffed it with a few fall finds from old wreaths in the attic. It’s a nice alternative I think. We are moving the furniture back in this week too. It’s a happy week at the Wilson house! 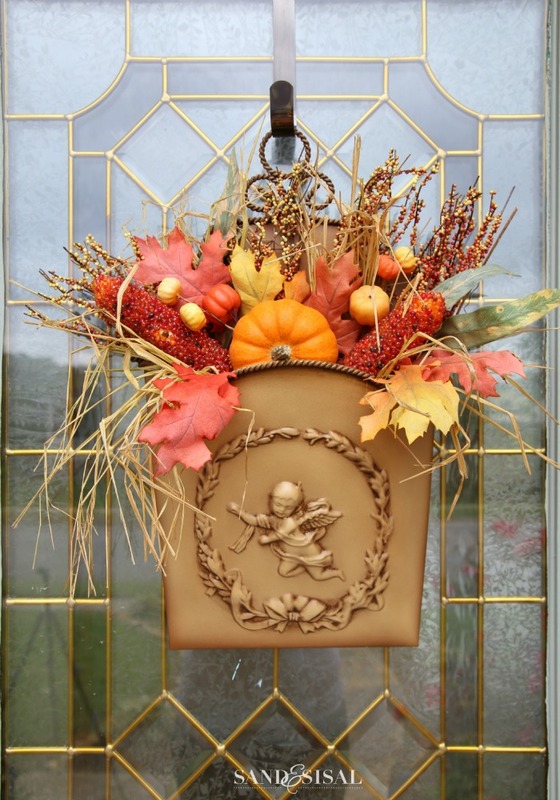 Take a peek at all the different ways we have decorated our front porch for fall over the years. 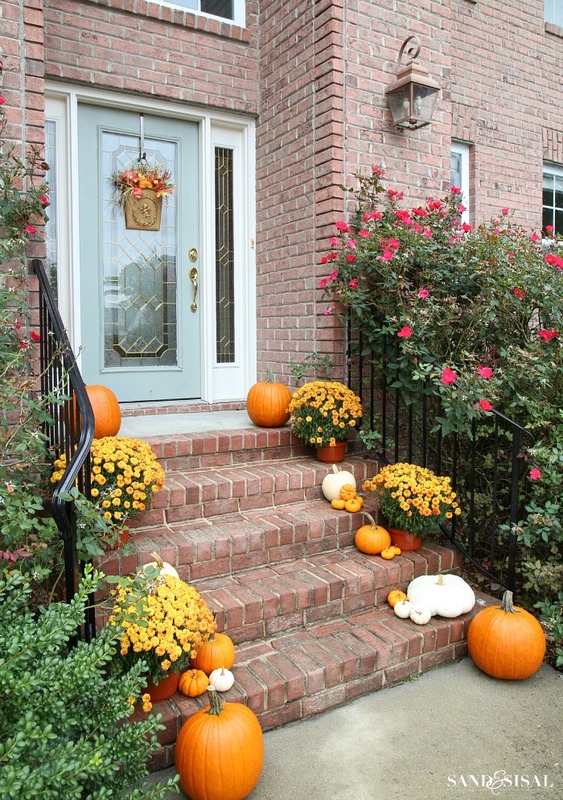 I enjoyed your fall front door decor through the years — all very inviting. 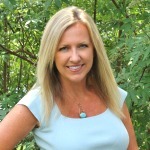 Glad to hear that things have been returning to “normal” both in your home and in the area due to floods and severe weather. There really is something wonderful about having “just a normal day” after such turmoil. 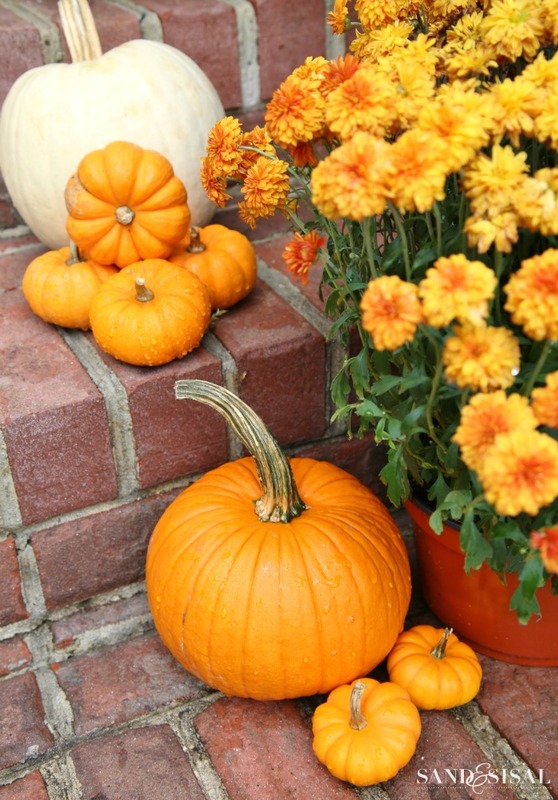 You can never go overboard with pumpkins! I’m glad that things are returning to normal for you. 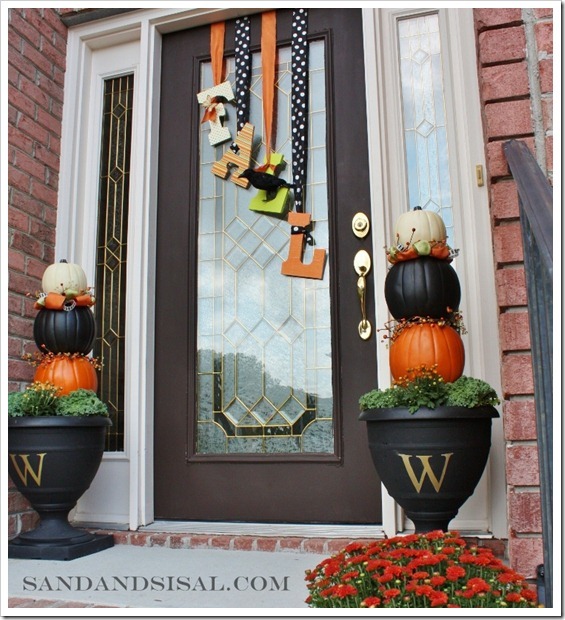 LOVE your front door decor! I also love the color of your door! 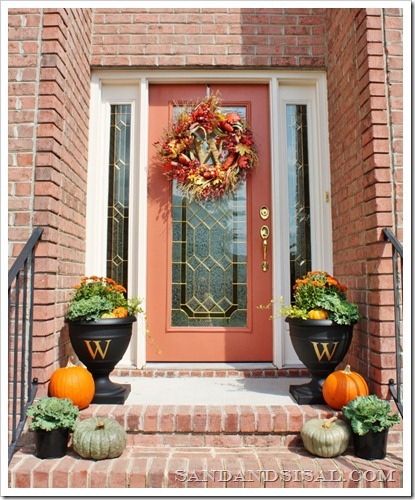 Could you share with us what color you used on your front door? 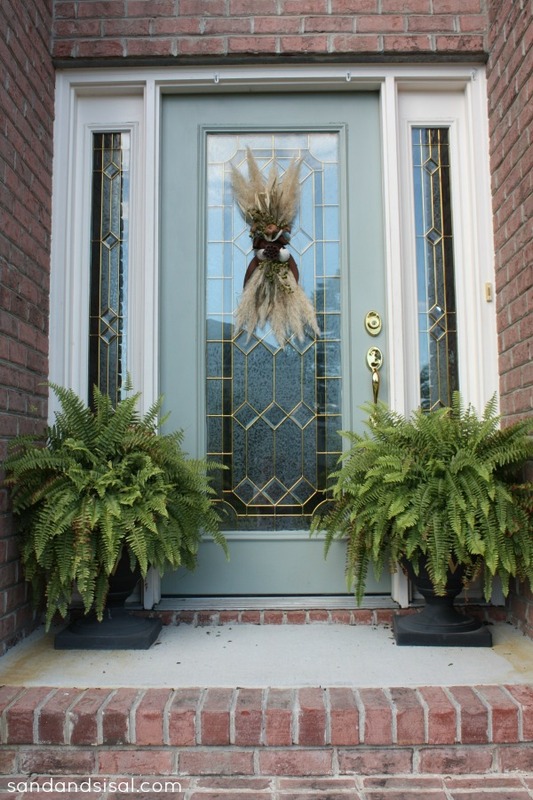 I’ve had the same brown, wood-look door for 22 years and have decided that it’s time to freshen it up with a pop of color, and would love to copy yours! Beautiful! I’m with you, you can never have too many baby boos! 😉 So excited you guys had some sunshine and will get to move back in soon!